Goal setting and goal scoring (on a bike) – Ride. Write. Repeat. I began the 2017 season with a clear set of three goals. As in targets: no balls or nets involved. The focused approach came largely thanks to Dr Josie Perry, who suggested we work together on a series of sports psychology articles – using me as the guinea pig and my bike riding as the evidence of this very practical form of cognitive therapy actually working. I’ve set goals in the past – but my relationship with them turned somewhat sour when the first truly measurable one eluded my for years: go sub hour on a 25 mile time trial. Year one saw me at 1.09, year two at 1.03 – and then I stayed there for bloody ages. After that, goal setting got a bit fluffy. ‘Get stronger’. ‘Be faster’. I’d love to know what stronger or faster look like, because the honest truth is I never had any idea. Most of the time I was really just striving to still fit into my college jeans. Anyway, with 2016 marking my first full season of crit racing and track (mainly) training, and a jump from cat 4 to cat 2 whilst really sticking with the stronger/faster mentality, I decided to have another go at goals for 2017. I wanted goals that I knew I could achieve, but that would stretch me. Setting them (the Dr Josie Perry way) starts with one overall (or outcome) goal – this can be fluffy if you like, as long as there are performance goals attached to it, process goals are then used to help you on the way. My overall goal: be a complete rider. The sort of road rider that a team might want in their ranks. What does a good team rider need? That’s where the process goals – eg the things you’re actually going to do – come in. Number one was a must – and I did it before the end of May. Performance goals should have process targets attached: eg things you need to do to ensure you can put a big fat tick in the box by the end of the year. In this case, it was racing at least once a week in the early season. Having picked up a lot of my points in 2016 at Cat 3/4 races, I wasn’t sure how easy or achievable it would be to score points when racing only in 2/3/4 or E/1/2/3/4 fields. In the end, however, it turned out it wasn’t too tough at all and I had it in the bag by May. Another winter of track in my legs meant the first few races felt a world apart from the experience I had last year. I’d finally learned how to sprint. 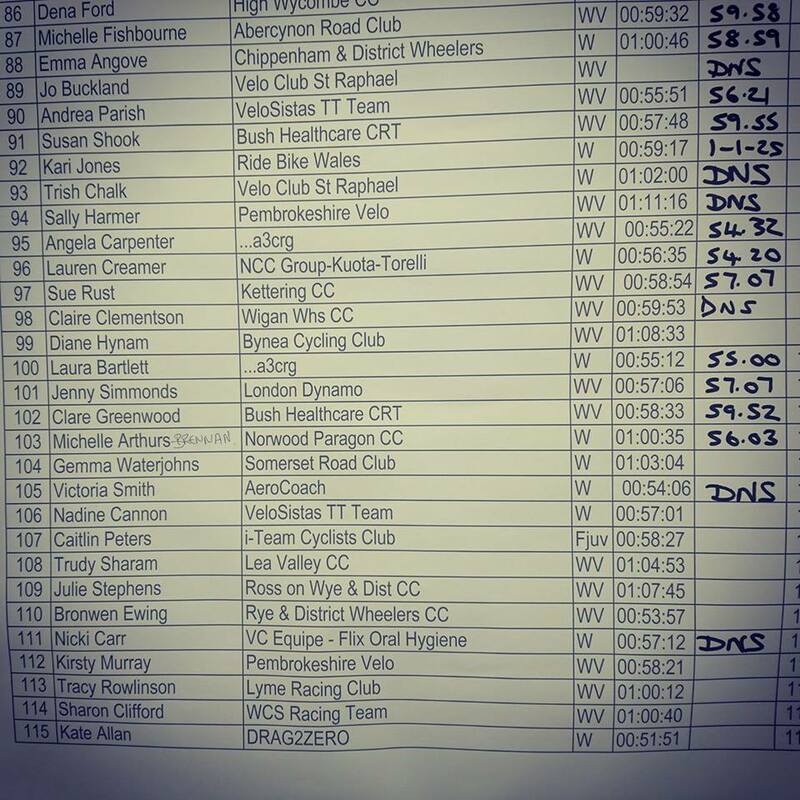 To be clear: I’m never going to be a fast twitch sort of girl – but in 2016 the best I could ever hope for was 4th or 6th, but I picked up some seconds, and came so close to first in the early crits of spring. The answer? Stop stamping on the pedals in a high gear – you go backwards. Drop down the gears and spin like a crazy mo-fo, and you actually go past people. Took me far too long to figure this and I still find as soon as I skip track for a few weeks, I forget. The other major differentiation between 2016 me and 2017 me here was that I made a conscious effort not to mentally turn myself into a second rate citizen of the cycling world on the start line. This was a bad habit that developed last year – but expect everyone to beat you, and they damn well will. This year I made sure I always lined up with a mindset that I had just as much right to reach the finish line first as the next girl. This was the one I was most concerned about my ability to achieve. It’s completely quantifiable. 60.01 and it’s not done, 59.59 and the box is ticked. It’s a goal I’ve had on the list for so long, and I did it on July 23. By quite a way, in fact: 56.03. Bizarrely, cracking the hour didn’t actually feel as good as I always thought it would. 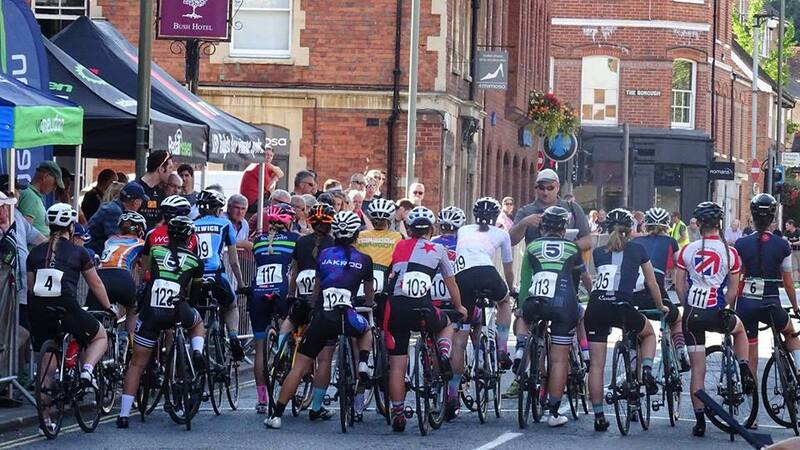 It was a fast course, it was a fast day – do those things mean I’m not really an ‘hour standard rider’ – I asked myself? The fact is that it is a fast course, but half the testers in the country are making pilgrimages to the R25/3H in Wales every weekend to achieve their PBs, so I joined them. Plus it’s not 4 minutes quicker than the local courses – so I’ll make sure to visit one of them soon to prove that. Regardless: I’ve done it. That’s a huge box ticked. One of the key changes I made here was in planning. You can’t just blindly enter events, trundle down there and hope it goes ok. I entered a fast course – actually I entered the same course twice to make sure I had two opportunities. I got a good bike sorted, with a double chainset instead of the ridiculous compact I’ve been moaning about for years. Made a weekend of it, drove down early – ate the right breakfast, accounted for each hour in the lead up. Plan it to achieve it. Goal 3 was a bit more fluffy. 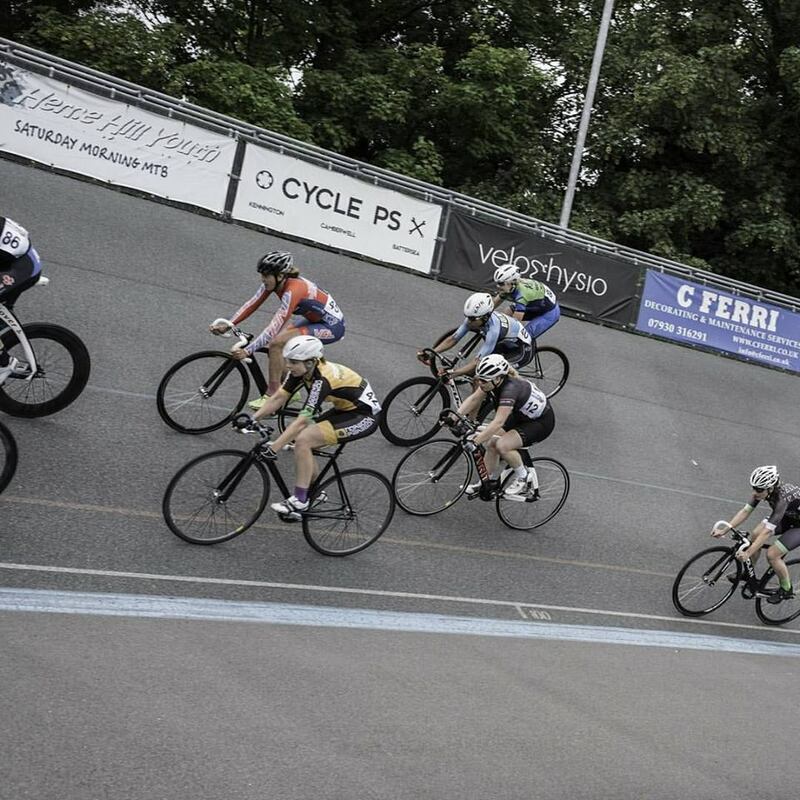 Track cycling is still new to me, last year being my first season racing fixed. In 2016, I raced the women’s league in the B category, and tried a couple of events in the A’s – where I found I was mostly just clinging on. Come 2017, I planned to race in the A’s. But Dr Perry pointed out that simply ‘being there’ wasn’t exactly setting a goal. So instead we made it ‘race in the A’s and be able to influence the race’ – eg – it’s ok not to win, but don’t be rolling in last every time and congratulating yourself for lining up. The goal got complicated when so many women entered this year that the categories were split into A, B and C as opposed to just A and B. In effect, B got a bit harder and A became pretty elite. At the first event of the year, I started out with the A’s – but dropped back to the B’s when far too many twitchy riders seemed keen to prove themselves early season. The warm up race contained two bouts of shouting, swearing and almost mass participation crashing. Come the next event, I’d spent an entire month kicking myself for dropping down and was ready to try again. I never did go back to race in the B’s – racing the next 3 events to varying success in the A’s. I feel like there’s still unfinished business here – but I’m pleased to say I took a flyer off the front during one points race and was right in the mix of the sprint in all but one event on the last evening of racing. Which to me feels like being able to influence the race – and there’s the Lee Valley winter series looming so plenty of time to hone some more skills. Setting goals is intimidating, because it feels rubbish if you don’t hit them. But not setting them at all is effectively letting yourself float. This year, I set some goals that – since I’m writing this at the very start of August having comfortably achieved them all – were perhaps too easy. Next year: same again, but I’ll add some stretch targets, just to make sure I eek out every last ounce of trying.